I took a whack at the next TACO HELL panel, and to be honest, I'm just too swamped to do one of those right now. A lot goes into those. I will finish that story. The maddening thing is, I could finish it in 5-6 posts easy. I just can't find a window to do it right now--too complex! I'll try again next week, when this manuscript is finished. If that doesn't work, I'll wrap it up in July when the BIBLICAL TIMES are over. 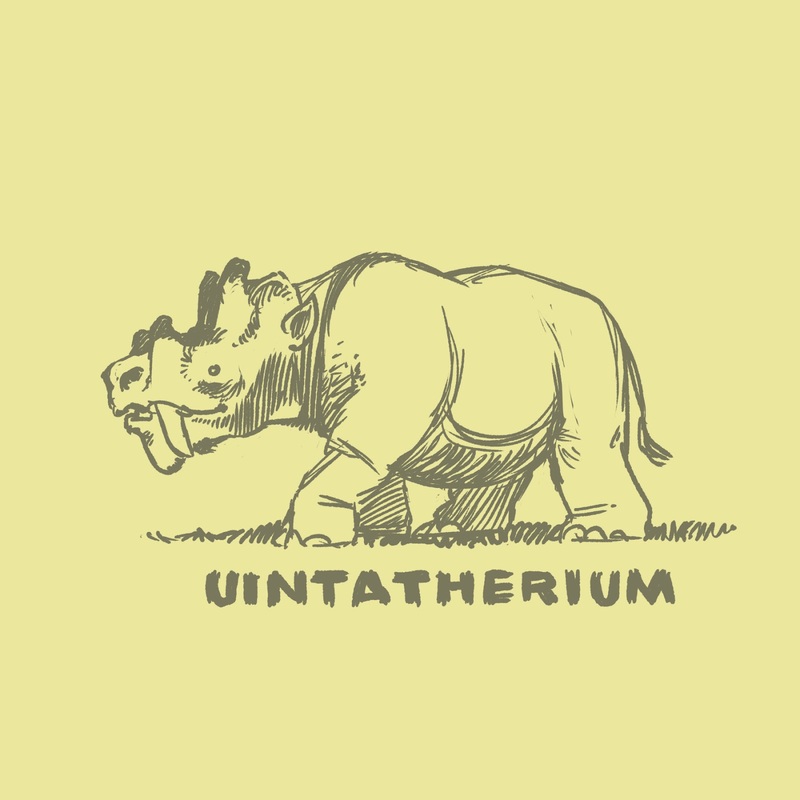 In the mean time, here is a cute lil' Uintatherium. A giant horned mammal from the Eocene Period. Also, as you may have guessed from the name, it's from the Uinta mountains of Utah! The next few posts will be t-shirt designs for unpopular prehistoric animals. That I can handle. Are these real or imagined? 100% real. Google it--it's got the wackiest skull of all time. I love its nobby head! So cute! I've seen this handsome chap before in my animal encyclopaedia. How can this be unpopular? I would wear this t-shirt in a heartbeat!